Thread 3 marshmallows onto each pretzel stick to make 6 "bodies." 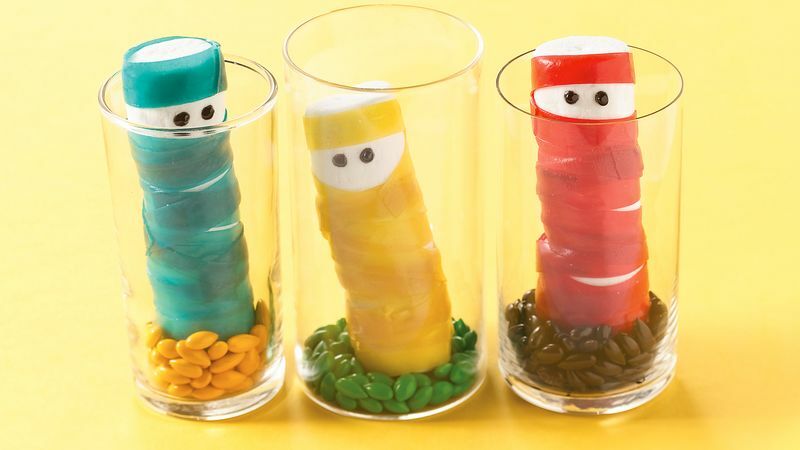 Wrap 2 long snack roll strips around each "body" to look like mummy, leaving small amount of 1 marshmallow uncovered for face. With decorating gel, add dots on "face" for eyes. Set out all of the ingredients, and cut the fruit snack rolls ahead of time to make your craft time go smoothly.